Three residential building plots, available individually or as a whole, situated within the private resort community of Treasure Cay, Abaco, Bahamas. The attractions offered bythe Bahamas extend far beyond the tropicalparadise the archipelago of 700 islands offerto sun-seeking travellers. The former British colony which lies 180 miles of the Florida coast offers year round sun with daytime temperatures rarely dropping below 25. Add to this the favourable tax regime of zero income and other taxes and VAT and it can be seen why the islands have been luring wealthy foreign investors. 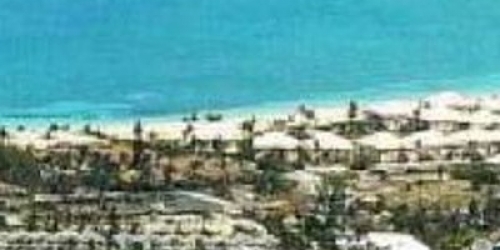 Treasure Cay is a Beach, Marina and Golf Resort, located on Great Abaco, in the North of the Bahamas and named after the World famous 3.5 mile white powder sand beach which is just a few hundred yards from the three plots offered for sale. The lots are located across the street from the Palm Bay Development and provide already levelled development property. They are located within 250 feet of Treasure Cay Marina and the community's restaurants, main commercial and shopping area are only about a five minute walk away. Utilities are available at the road boundary, including electricity, water, telephone, high speed DSL internet access, cable TV and waste collection. The Land is being marketed for sale by Peter Sargent in his capacity as Trustee in Bankruptcy ("the Trustee"). Please note that interested parties will need to rely on their own enquiries and investigations in relation to the property as the Trustee is unable to make any representations or give any warranty (express or implied) as to the accuracy or completeness of the information provided. Interested parties should obtain independent professional advice. The information provided above does not constitute property particulars.